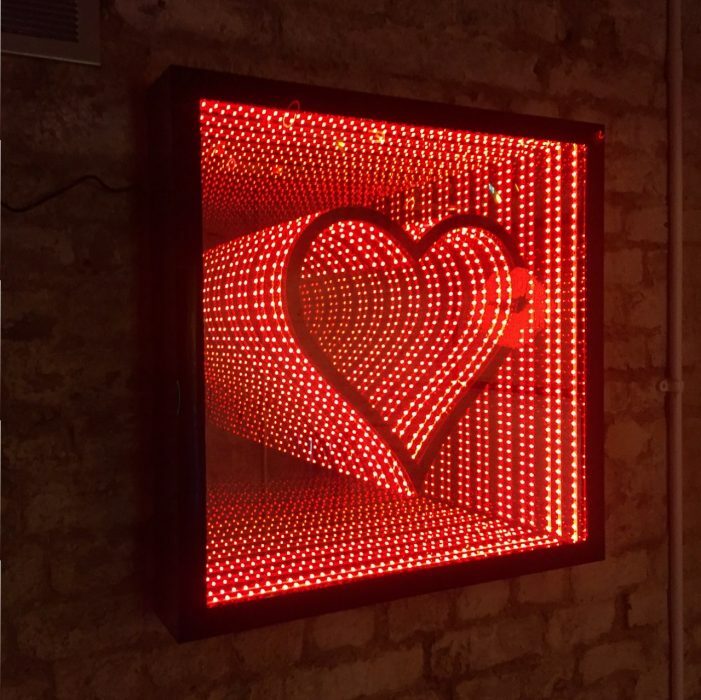 Reflections of The Heart is an infinity light box artwork created for the “Love Heartz” show for Valentines at Lights of Soho in 2016. This was one of four pieces on show. The inspiration for this piece comes about from the look of love that bounces back and forth between the eyes of two lovers.